Catch this hilarious fairy tale turned on its head, going up May 10, 11, 12th on the Osoyoos Secondary School theatre stage! A big green ogre, a talking donkey, a beautiful princess, and a vertically challenged lord, as well as many fairy tale creatures tell this hilarious tale about accepting who you really are. Friday, Saturday shows @ 7pm; doors open @ 6pm. Sunday show @ 2pm; doors @ 1pm. 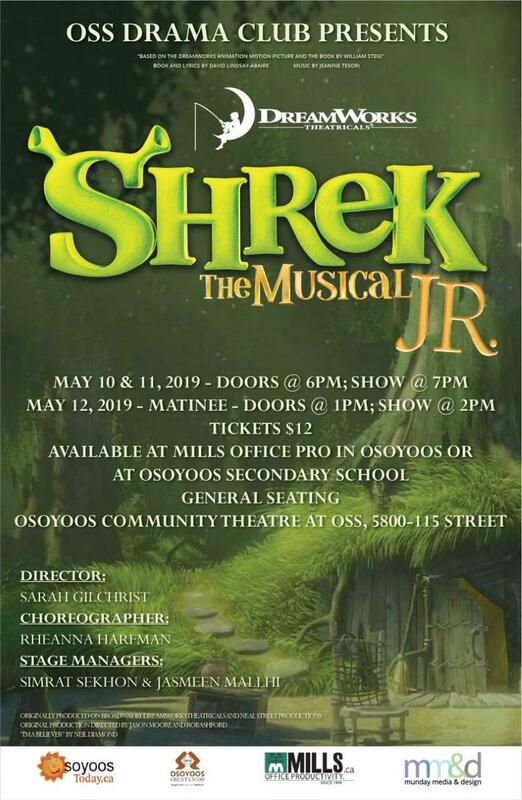 Tickets available at the high school office, or at Office Pro on Main Street in Osoyoos.